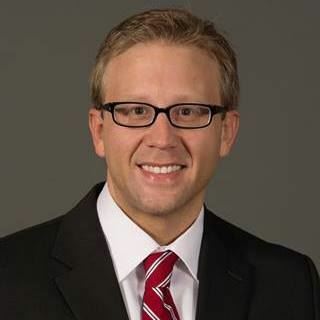 Dr. Adam Knowlden is an assistant professor in the department of health science at The University of Alabama. He earned his M.S. and Ph.D. in Health Promotion and Education with a concentration in statistics from the University of Cincinnati in 2013. In 2007, he received his M.B.A. from Franklin University while employed as a Legislative Analyst for The Columbus City Council (Ohio). Dr. Knowlden’s research centers on the development of health behavior prediction models and experimental interventions for the prevention of obesity and primary sleep disorders in children and adults. Dr. Knowlden has received multiple awards for his research including the 2015 Society for Health Education Horizon Award and the 2015 American Academy of Health Behavior Professional Poster of Distinction Award. His research on sleep and obesity has garnered national and local attention from media outlets including the Huffington Post and The New York Times. Dr. Knowlden has published over 30 peer-reviewed journal publications in well-recognized, national and international journals such as Health Education & Behavior, Journal of Primary Prevention, and Obesity Reviews. He has presented more than 70 papers at juried international, national, and local research conferences. Dr. Knowlden has received multiple grants to support his research endeavors, including two competitive doctoral fellowships from the University of Cincinnati Graduate School to develop and evaluate a childhood obesity prevention intervention. In addition to his own research, Dr. Knowlden is enthusiastic about helping other researchers achieve their professional goals. In this regard, he has served on multiple dissertation and thesis committees. Dr. Knowlden is passionate about advancing the state of health behavior research and recently accepted a position as associate editor for the peer-reviewed journal, Health Education & Behavior. Quote: I consider the American Academy of Health Behavior the premiere professional organization for health behavior research. I am humbled and honored to receive the Judy K. Black Early Career Research Award. I am extremely thankful to my research mentors for the investments they have made into my professional development. “Theoretical Model of Goal Directed Behavior Predicting Sleep Behavior of Young Adults"
Adam P. Knowlden CHES, MBA, Ph.D.